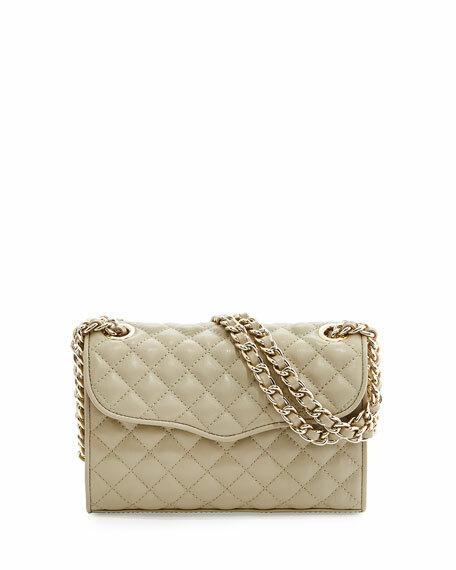 Rebecca Minkoff quilted leather crossbody bag. Chain shoulder strap loops through top; 21" drop. 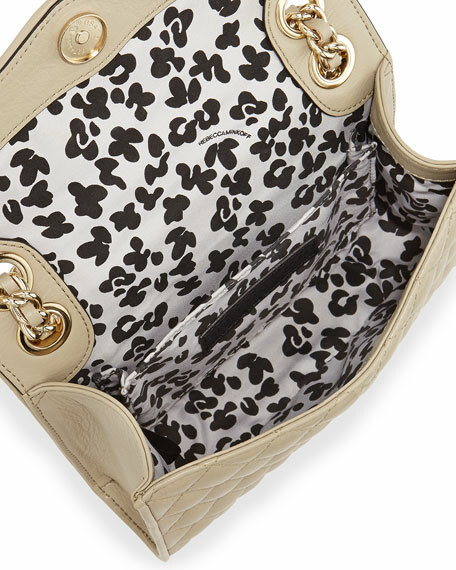 Inside, printed fabric lining; one slip pocket. 5.5"H x 8.5"W x 1.5"D; weighs 1.2 lbs. For in-store inquiries, use sku #284188.